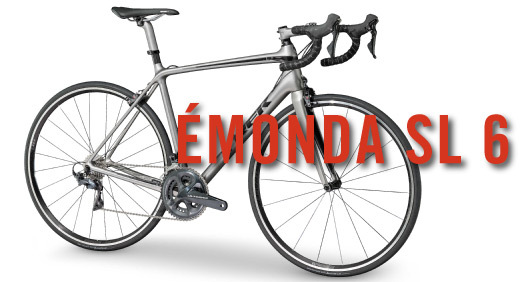 Emonda SL 6 is lighter, quicker, more comfortable, and better. After creating the lightest production bike ever in the Emonda, they amaze us again, improving the Emonda in ever facet of the bike. And they do it at a friendly price. They did what no one thought possible: make the lightest production frame on earth even lighter. But Trek went further. They modified tubes, components, and geometry to make it an all around road master. Not only is it lightning quick and responsive, but it offers a road-smoothing ride that belies its race pedigree. Perhaps best of all, the SL 6 retails at just $2499.99.